Movies ultimately live forever, destined to be shelved on DVD, floating around on streaming services, or popping up on TV. Nevertheless, filmmakers and movie studios alike make movies for their first, biggest, and most important form of exhibition: the theater. Most movies debut at the multiplex, on a big screen with gigantic sophisticated speakers, washing over a crowd of customers in comfortable seats paying a small fortune for the privilege. Watching a film is a shared experience among strangers, and because it's still the best way to see a movie, it's here where a film can earn millions and millions for month after month. Of course, that's only if the movie's a hit. If it's a bomb, that theater will stay relatively empty until the film fades from memory and theaters offer fewer and fewer showtimes over the following weeks. Even worse, audience apathy can sometimes turn to fury. A film might perform so poorly and become so poisoned by terrible word-of-mouth that studios or distributors will pull it out of theaters abruptly to end the embarrassment. Check out this round-up of box office disasters, because you probably didn't see them in theaters. Had Gigli it not starred two of the biggest celebrities of the era — engaged in a high-profile, tabloid-worthy relationship at the time — it would have been a weird and forgettable movie, not a legendary flop. Ben Affleck plays a stereotypical movie gangster goon with an unpronounceable name (Gigli, or rather "JEE-lee"), assigned by his crime lord bosses to kidnap the Baywatch-obsessed developmentally-disabled brother (Justin Bartha) of a federal prosecutor. Things go awry, of course, so the bosses send in a more capable operative, Ricki (Jennifer Lopez). Oh, and they fall in love, even though Ricki is gay and Gigli is a raging misogynist. That plot, and the off-screen "Bennifer" antics that overshadowed Gigli, launched an unofficial competition among critics over who could say the meanest things in their reviews. The Wall Street Journal called it "the worst movie — all right, the worst allegedly major movie — of our admittedly young century," while the Washington Post said it was "torpid, slack, dreary, and, oh yes, nasty, brutish, and long." Somehow, this movie that consists mostly of Affleck and Lopez's characters talking in an apartment cost $54 million to make, and unsurprisingly bombed, bringing in just $6 million. After three weeks in theaters, Gigli moved on to its final resting place in grocery store DVD bargain bins. The whole reason Hollywood makes movies out of familiar properties is because name recognition equals free marketing. It's much easier to get filmgoers on board with something they already know (and like) than to sell them on a new concept. That's how and why G.I. Joe and Transformers became successful movie franchises. Ironically, another fondly remembered cartoon show and toy line from the '80s became one of the biggest film flops of all time. 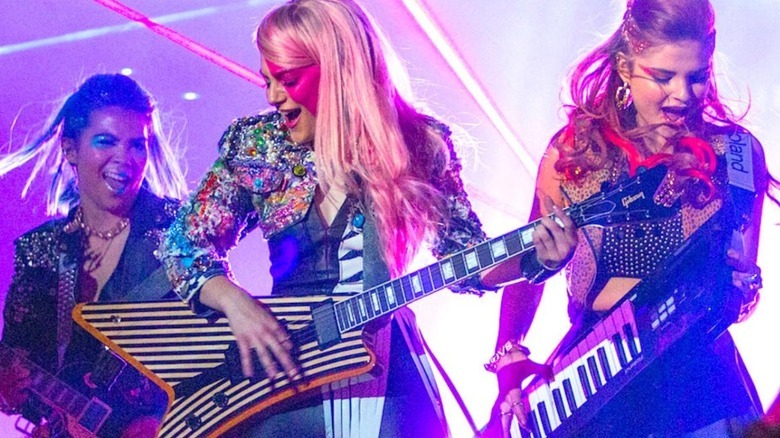 Jem and the Holograms, a live-action, modernized version of the Reagan-era property about an all-female glam/pop/rock band, opened huge in October 2015, to more than 2,400 theaters. But the movie was doomed. Filmmakers didn't stay true to the source material, thus putting off the only people who'd actually want to go see it. The result: an abysmal rating on Rotten Tomatoes and an opening weekend that earned $1.37 million, landing way down at 15th place. In week two, still playing at more than 2,400 locations, revenues dropped to a mere $388,000. And that's when Universal decided to pull it out of theaters completely and pretend it never even existed. Inspired by the interactive audiences of The Rocky Horror Picture Show and an animated audience at a showing of Madea Goes to Jail, screenwriter Kenn Viselman conceived of a film where kids were encouraged to yell out thoughts to the characters on screen. "I just got that what we need to do is allow children to be children, allow them to behave the way they would behave. And so if we created a film that allowed for that, that actually embraced it and encouraged it, we would have an incredibly different experience," Viselman told The Hollywood Reporter. 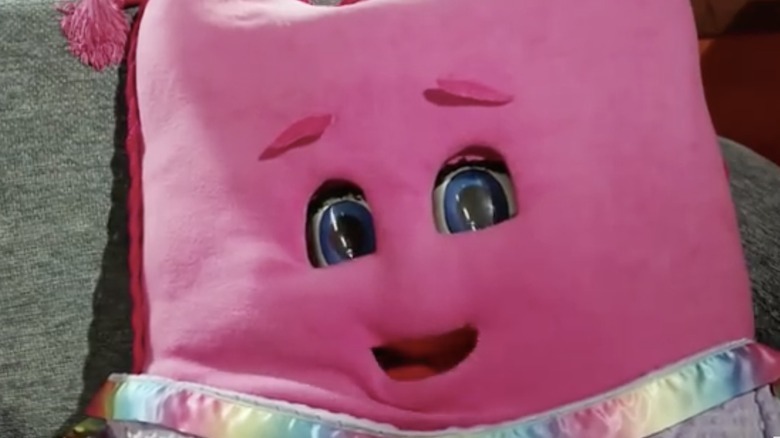 The film's poster bizarrely proclaimed The Oogieloves in the BIG Balloon Adventure as a production from "the marketing visionary who brought you Teletubbies, Thomas the Tank Engine, and Eloise" (that would be Viselman). 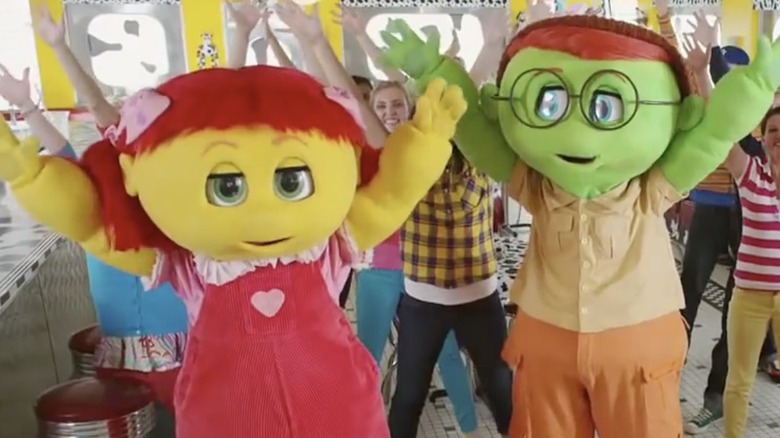 The movie itself was a pretty generic kids movie with some brightly-colored costumed characters named Goobie, Zoozie, Toofie, and Ruffy, with special appearances from stars kids love, like Cloris Leachman and Toni Braxton. Parents had little interest in paying for their kid to a yell at a screen for 90 minutes when they could do that at home for free. During its first weekend, The Oogieloves earned $448,131 at 2,160 theaters. Accounting for multiple showings at each location, that works out to about two people per screening. It somehow did even worse in its next two weekends (where it played to 281 theaters and then just eight) before the marketing visionaries at Kenn Viselman Presents mercifully removed it. In June 2015, a movie with the generic and bland title of United Passions hit theaters, a mawkish story of the rise and greatness of FIFA, the worldwide governing body of soccer (or football, if you're not American). It's so extremely pro-FIFA that it's no surprise FIFA provided most of the film's $22 million budget. A bad movie for sure — it earned a rare zero percent rating on Rotten Tomatoes — but it also fell victim to extremely bad timing. 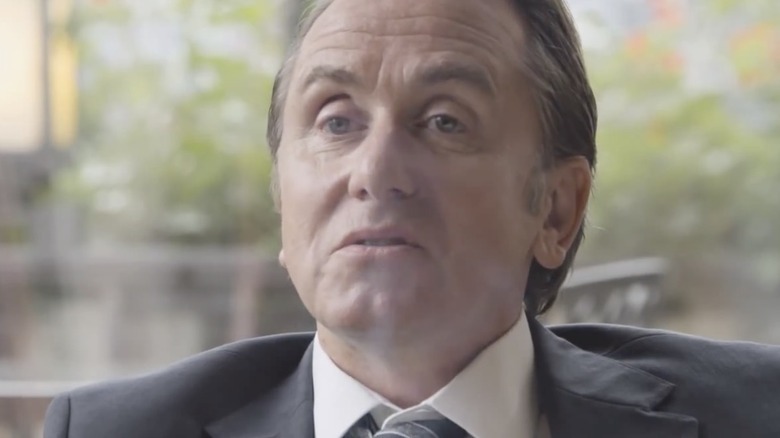 Its release came just days after the arrests and indictments of more than a dozen FIFA executives on corruption charges and the resignation of FIFA president Sepp Blatter (played in United Passions by Tim Roth). Director Frédéric Auburtin publicly regretted having made the film (which FIFA executives odiously wanted to title Men of Legend) and called it "propaganda." While not released to theaters in soccer powerhouses like Germany, Brazil, or France, United Passions played to 10 theaters in the United States…where it earned a grand total of $918. United Passions dispassionately dis-unified with theaters after just one week. In the late 2000s, a science-fiction allegory about respecting nature and the dangers of colonialism hit theaters. It utilized cutting-edge CGI and animation technology to render lifelike but exotic humanoid creatures. No, not Avatar, which pulled in a record $2.7 billion at the worldwide box office and played to packed movie theaters for months on end across 2009 and 2010. No, this is the story of Delgo, a movie at the other end of the box office and theatrical tenure spectrum. This 2008 animated feature bore a similar look and premise to Avatar — the protagonists flee their resource-ravaged homeland for another — but far from the same success. Made by the small Fathom Studios, development began in 1999, when CGI animation was still something of a novelty. 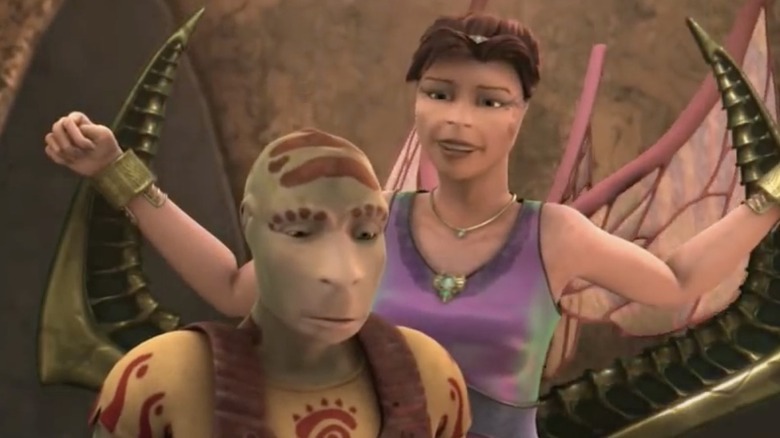 By the time of its release in 2008, Delgo's style was old hat (and not particularly well-executed), and its lead voice actors (Freddie Prinze, Jr. and Jennifer Love Hewitt) had lost their A-list status. While Avatar broke just about every box office record, Delgo broke one, too — it earned $511,000 at 2,160 theaters during its first weekend, bad enough to make it worst wide release weekend in movie history (at the time). It doesn't rank among the worst second weekends of all time, because Freestyle Releasing yanked Delgo out of theaters just seven days after release. Madonna is certainly one of the greatest and most influential pop stars of all time, but that goodwill has very little to do with her forays into acting. She's basically the Meryl Streep of the Razzie Awards; these "Oscars of bad movies" have dishonored Madonna a remarkable 16 times for stinkers like Shanghai Surprise, Body of Evidence, and Swept Away. The latter seemed like it might be a little better than the usual Madonna movie, as it was both written and directed by Guy Ritchie, the acclaimed filmmaker behind Lock, Stock, and Two Smoking Barrels who also happened to be Madonna's husband at the time. That didn't seem to do much good, however — the desert island rom-com (Madonna plays a socialite, Adriano Giannini plays a Communist, and they're stranded together) took home four Razzie Awards and a critical reaction to match. Christy Lemire of the Associated Press called it "a cinematic shipwreck," while Almar Hafildason of the BBC said Swept Away "really does deserve to sink without a trace." Audiences didn't like it either. It played in American theaters for three weekends (to a total of less than $600,000) before the distributor swept it away. Tim Burton's classic The Nightmare Before Christmas isn't the first film to combine scary Halloween stuff with the trappings of the Most Wonderful Time of the Year. 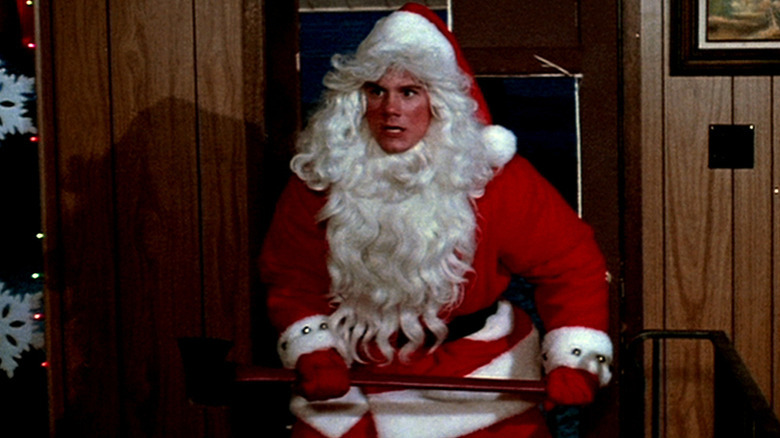 In November 1984, Tristar Productions released Silent Night, Deadly Night, a slasher movie in the traditional '80s style, except that the villain wasn't a guy in a hockey mask or a knife-outfitted glove — he was a crazed man named Billy (Robert Brian Wilson) who killed people with an axe while dressed as Santa Claus. More than 200 picketers assembled at two theaters in Brooklyn, bearing signs that read "Santa's Not a Hitman" and "Deck the Halls with Holly, Not Bodies." That outcry prompted Tristar to cancel a big TV advertising push, and some theaters refused to book the movie at all, including United Artist Theaters, two chains in Montana, and a few houses in Cleveland. What would have been a much bigger release wound up a moderate one — Silent Night, Deadly Night ultimately played in about 400 theaters nationwide. The outrage killed the film's prospects like Santa killed his prey — it was pulled from theaters after two weeks. Released in August 1981, Honky Tonk Freeway is a pleasant enough ensemble comedy that seems tailor-made to run on a low-wattage local TV station on a Sunday afternoon. It's about a small Florida tourist trap of a town called Ticlaw that's home to a small zoo and a water-skiing elephant. 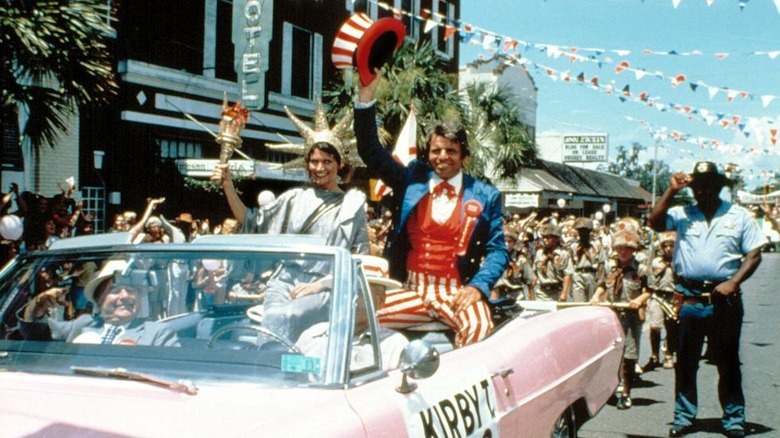 The mayor (William Devane) bribes a state official to ensure that a new freeway will include an off-ramp into Ticlaw, thus vastly improving the town's fortunes. The off-ramp doesn't get built, so the residents come together to paint the whole town pink as a publicity stunt. All of that non-action is intercut with the stories of various individuals about to wind up in Ticlaw, including bank robbers, hitchhikers, a family, and some nuns. Directed by Academy Award-winner John Schlesinger (Midnight Cowboy), this whole affair somehow cost $24 million, six million more than its far more visually impressive contemporary The Empire Strikes Back. Total box office haul of Honky Tonk Freeway: just over $2 million. The film was gone from theaters without a trace within a few weeks. There are only a few "name" directors known (and often beloved) for making bad movies, and alongside legends like Roger Corman and Ed Wood sits Uwe Boll. In the 2000s, Boll carved a niche in the film industry as the go-to guy to turn video games into movies. Even when he lucked into working with great actors, the results remained unimpressive. Efforts like BloodRayne and Alone in the Dark contributed heavily to the universally-acknowledged notion that video game movies are always terrible. But the one that rises above (or sinks below) the rest is Postal. 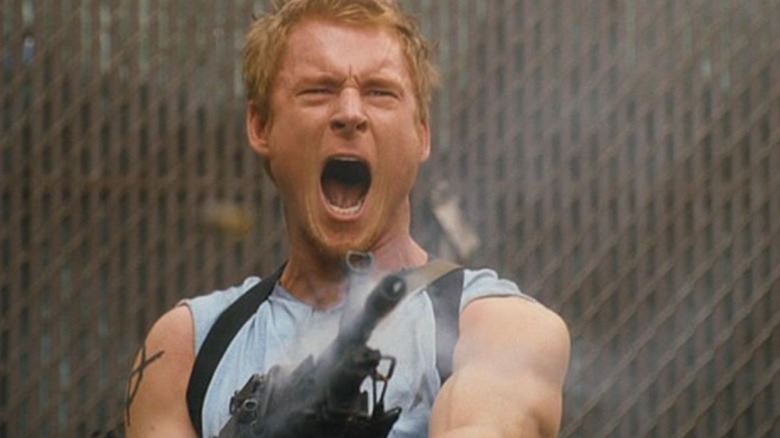 Boll's 2007 film took the kill-'em-all action of the Postal games and added a plot where Zack Ward (best known as Scut Farkus from A Christmas Story) plays the titular (and extremely violent) Postal Dude. The film includes dozens of gruesome deaths, Boll playing himself getting shot in the groin, and a comic scene featuring two of the 9/11 hijackers. While that seems like the plot of a direct-to-video movie, Postal got itself a wide theatrical release, scheduled for May 2008 (opposite Indiana Jones and the Kingdom of the Crystal Skull). But just before its release, nearly all of the distributors that had lined up pulled out. Rather than open on 1,500 screens, it opened on four. That's right — Postal was so bad that it got pulled out of theaters before it even arrived.